Packaging (yogurt, desserts, etc.) 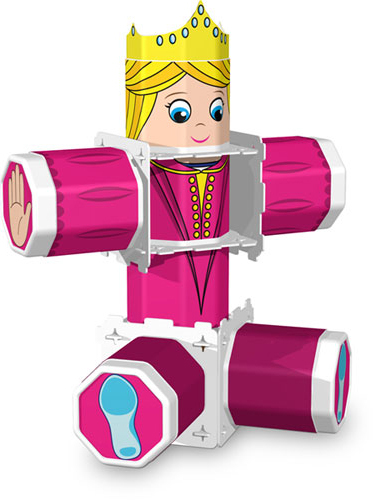 designed specifically to be reused in a second life as a modular construction toy. Children are motivated to 'collect and reuse' instead of 'waste', whilst given a greener alternative to the 'free toy inside' trend. The pots fit together in different ways to create hollow, light weight, 3D shapes and figures. Various labels allow for a wide variety of play themes and even educational games. Poor families have the possibility to have play material at no extra cost, and difficult eaters are rewarded with a toy by finishing their food. Play-schools and conscious parents can rely on the packs to help in education, even if it's hard to afford one. All this through Play, the best way to learn.